Many replicas of great buildings are comically small, or they are built in a kitschy fashion almost mocking the original. The Bibi Ka Maqbara in Maharashtra, India does neither of those things. 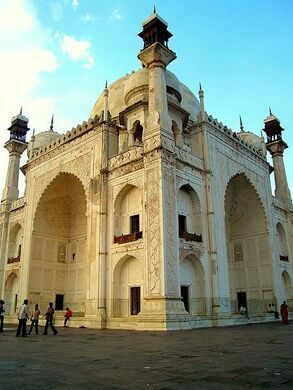 It is itself a grand maqbara, meaning “holy tomb” in Arabic, with inlaid walls and marble screens, surrounded by turrets and a reflecting pool. But it is small compared to the inspiration, theTaj Mahal in Agra, over 1000 miles to the north. Known as the “poor man’s Taj Mahal” or the “mini Taj”, like the original it is a monument built in memory of love lost. In this case it was a mother’s love, rather than a wife’s, that inspired Prince Azam Shah to build the structure between 1651 and 1661. 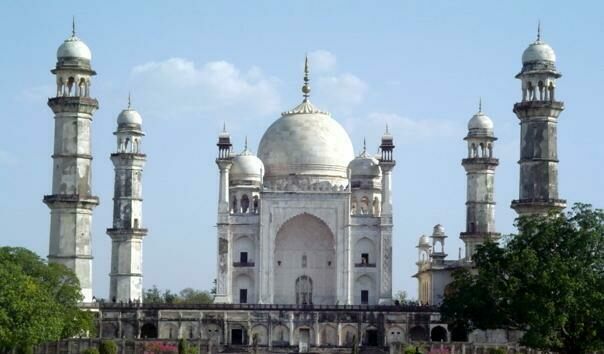 The mini Taj was erected less than 30 years after the original, composed of slightly more modest building materials, with limestone and plaster as well as marble under the all-marble onion dome. 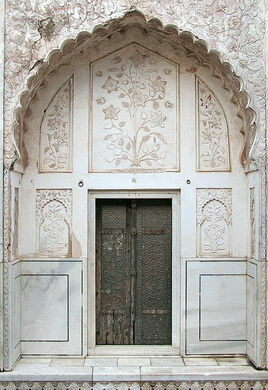 Marble was abundant in northern India, near Jaipur where the Taj Mahal was built. In order to build the Bibi Ka Maqbara, the marble had to hauled on carts to the new capital of the Mughal empire. The construction took only 6 years, compared to the 22 years for the Taj Mahal. The grounds cover 458 x 275 meters of gardens. At the center of the building is the lone tomb of Rabia-ul-Daurani, third wife of the emperor, and mother of the architect. It may lack some of the staggering size and grandeur of the original, but it does not attract the millions of visitors, or the strict guards who threaten to remove the film from the cameras if you dare take a picture. The mini-Taj exudes its own more humble charm. From Mumbai: There are two trains daily from Mumbai to Aurangabad daily. This rare basalt crater lake is used to study the Moon and Mars. A colorful Peruvian city of the dead.